Marie De Jesus, widow of a Glorietta explosion victim last year, refuses to live in the house in Cavite that the mall owner, Ayala Land Inc. (ALI), had given her. In her reckoning, it is too far from where her relatives live and from possible business opportunities. ALI had offered each of the families of the 11 victims a house worth P4 million and P1 million in cash by way of a settlement. Follow the rest of the story here. 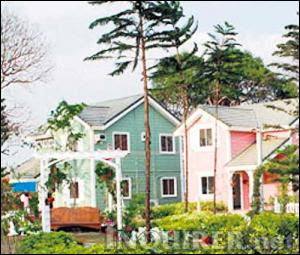 The Cavite property mentioned was known to be ALI's Ayala Westgrove project in Cavite.